iOS 8 has been with us for just under 1o days now, giving everyone enough time to install it and get our feet wet. While Apple calls this their biggest update to iOS since the app store, the truth is that the latest iteration of Apple’s mobile OS is lackluster at best. iOS 8 seems hastily thrown together and overall not ready for a full release, especially with a good chunk of features not working until OS X Yosemite is released. For those working with a Windows PC, that means what you see is what you get. 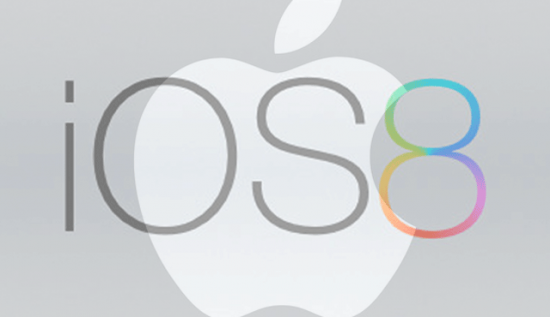 iOS 8 seems to have missed the mark, and here are the major reasons why iOS 8 failed to impress. Before iOS 8 even gets installed on your device, some people were already not happy with it. Even though the OS takes up 1.2GB of space on your iPhone, iPad, or iPod Touch, it requires 5.7GB of free space to download! While this is nothing for those of us that have 32 or 64GB devices, what about the 16GB iPhones out there? This means that anyone running low on space had to delete apps and pictures just to install the update. While you can sync your device to a computer and install the update there, this goes against the idea of OTA updates, and in general, is just plain silly. 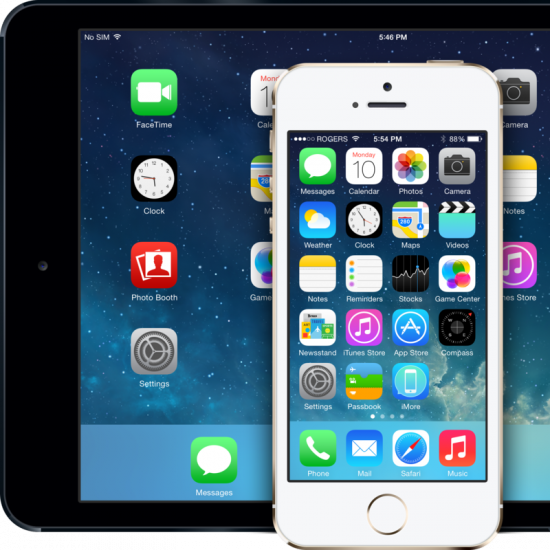 When iOS 8 was first showcased, one of the biggest features shown was the ability to hand off files and applications from your Mac to your iPhone or iPad, and vice versa. This means the webpage you’re reading will show up when you walk away from your Mac, and the call you’re on with your iPhone can be continued on your iPad. While this is great, almost all of these Handoff features won’t work until you update your Mac to OS X Yosemite. With this update still in the horizon it leaves iOS 8 users looking for something to do while they wait. One of the biggest misses with iOS 8 is iCloud Drive. While the new plans are up and ready to be subscribed to, this feature is definitely not ready for the mainstream yet. When installing the iOS 8 update you’re prompted to turn on iCloud Drive, which sounds pretty great. IF you turn it on however, any device still using iOS 7 or below and any Mac NOT running Yosemite will be cut off from files and app data in iCloud. In other words, if you turn iCloud Drive on, your Mac will stop being able to sync data to iCloud, meaning this is yet another feature waiting on Yosemite. Pretty weak. Easily the most hyped feature in iOS 8, HealthKit was touted as being your one-stop-shop for health data with your iPhone, but shortly after users got their hands on iOS 8, it was shown to not be working…at all. The app isn’t working and there’s no help present in iOS 8 to tell you how it works, what it does, or steps to take to move forward. Apple missed a huge opportunity with HealthKit and hopefully it’s fixed and explained better soon. Apple touted iOS 8 as their biggest update since the App Store, and while this is mostly just marketing buzz, there were some pretty great things in iOS 8 that are working right now. If your iPad and iPhone are on the same Wi-Fi network you can handoff calls from one to another and answer calls on your iPad, the interoperability of apps with one another is pretty great, and the fact that Apple allows you to customize the Today screen is a huge leap forward for them, even if it should have happened years ago. The issue is, Apple missed so many points that it makes the OS lacking the pop that iOS 7 had, and that’s just something we don’t expect from Apple. I would like to start off by saying I am not a fanboy of apple. I own a mac and an iPhone. I have also owned PCs (windows and linux) as well as an android phone. My issue here is not that Apple was criticized but how it was done. IOS8 is a significant improvement. Some of these improvements require access to a mac running OSX Yosemite to manifest themselves, such as handoff / continuity. This article dwells on the fact that Yosemite is not available and posits that because it has not been released yet, this a flaw with iOS. Perhaps you should criticize apple for not holding back the iOS release to coincide more closely with the Yosemite release? In general, I think you would rather stagger large updates like this in the event of a problem, like what we saw yesterday with 8.0.1; by the way, apple does deserve to be criticized for that mess. As for healthkit, I would have to agree, it is not supported and what is there is poorly documented. As you know Apple did state that healthkit support would be coming later and 3rd party apps would be supporting it in relatively short order. This is a valid point to dwell on as it was held back due to bugs and not because of Yosemite’s release date. Overall, the enhancements in OSX are good, specifically the photos app, notifications, today screen, mail and safari, spotlight, etc. I feel apple could have done more with maps and added a dark mode like they did on Yosemite for those of us who don’t like the bright white backgrounds but all in all I think it was a worthy improvement. I’m not asking you to be “nice” to apple, and while you aren’t reporting on serious things like human rights violations, global warming, etc. I would that you remember at the end of the day it’s about reporting the truth without spinning it just to get extra clicks. Thanks. I don’t think I spun the truth at all. When I downloaded the install it told me “this is the biggest update since the App Store was released” and with that in mind, I was underwhelmed. I expected to love it more than I did with the release of iOS 7, and that didn’t happen. 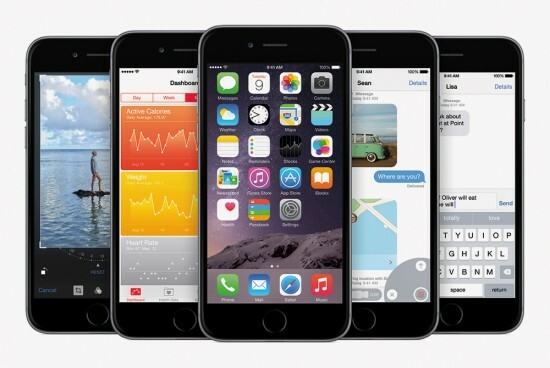 Apple has released 2 updates to fix issues since then, one of which fouled up iPhone 6 and 6 Plus devices. All in all, it’s pretty underwhelming. Looking for extra clicks is saying “Why iOS 8 is the worst update ever,” which I didn’t say. I was being honest and, god forbid, giving my opinion. FIrst I would like to apologize for the slightly hostile tone of my original post. You are certainly entitled to your opinion. Before reading your article, I should have appended the word “me” to the headline. In doing so i would have read this as an editorial and not as objective coverage, so for that I apologize. The two updates 8.0.1 and 8.0.2 came out after your article, and my original response. That said, I couldn’t agree more, I was negatively impacted by the 8.0.1 update and thought that was a big screw-up. I do find it amusing that 9 people with bent iPhones can spark so much coverage but a careless mistake like 8.0.1 which rendered useless so many iphone 6/6 plus handsets goes virtually unnoticed by mainstream media. Back to your main points, I think this update is “big” not in direct consumer facing features that are noticed on day 1. It is significant because it represents a fundamental change in Apple’s need to control the user experience; the consumer facing benefits of which will begin to materialize in the coming days/weeks/months. You should see this as more applications that support touchID, extensions, today screen widgets, keyboards, sharing, icloud drive, active notifications, homekit and yes (finally) healthkit are released. I appreciate your views and would urge you to consider the broader implications of what has been updated here. I concede ios7 was a “bigger” change in terms immediate visible impact but I feel ios8 is more significant both in terms of features and what it represents in terms of developers’ impact on user experience. Great points, all of them. I guess they included Handoff/Continuity and iCloud Drive for those people who only use iOS, but one wonders why they didn’t just hold off on those features for a .1 release when Yosemite is released. It’s sort of bizarre to release an OS whose most trumpeted features are unusable for the majority of the installed base. Definitely! I do like the ability to answer phone calls on my iPad now. That’s pretty useful. About iCloud Drive, I don’t recall even the briefest hint warning about the documents syncing issue when I installed iOS 8, so your comments are warrantable for warning others. Fortunately for me, another writer previously mentioned about not turning it on until Oct. when Yosemite is released. And then there is the issue as to whether Handoff will even work with an older, non-Bluetooth 4.0 LE Mac, even though I have an iPhone 5s, which makes Apple’s exciting advertisements about a great feature entirely useless to a large majority of users, even though my 2008 MacBook Pro, is still working like a pro. The huge install size section of your article is misleading. Thats the required space for an OTA (over the air) installation. The install size is actually smaller when doing the update while connected to itunes via usb cable. That’s why I mention syncing to a computer to download, as the OTA requires that much free space. Failed to impress? Failed to impress you it seems. Me, I’m more than happy with it to the extent of counting my self as being impressed and I’m sure that will apply to many other iOS 8 users. Please stop making broad, unsubstantiated, generalisations like this that appear to be purely click-bait. I felt I made some pretty decent points, my main point being that Apple called it their biggest update since the App Store, which means it should be more impressive than iOS 7 was, and with that comparison in mind, I was let down. It’s totally fine if you love the update and are blown away, I simply gave my opinion. The biggest improvements to iOS 8 are under the hood, such as extensions that will make iOS apps much more powerful, custom keyboards like the Swype keyboard I’m using now, and, yes, Cloud Drive that will vastly simplify document management on iOS and between mobile and desktop. Besides those, I’ve noticed lots of more minor improvements, such as the ability to change text size in Safari’s Reader feature, battery usage by app in Settings, Family Sharing (my daughter’s favorite feature because she has wanted her own Apple IS forever), adjustable text size throughout the OS that actually works, the improved Notifications you mentioned, Metal for high-quality performance graphics, Swift programming language for more secure software and doubtless many more. I was frankly quite surprised by the disappointment expressed in this article. Of all the iOS releases, I would say this one is least deserving of this kind of criticism. It is, in fact, so ambitious that some features aren’t finished yet. Big deal. This is a huge power-up for iOS. Edit: The part about my daughter should say, “Apple ID” not “Apple IS.” That was Swype’s fault. Also, I’m enjoying tremendously 1Password’s newfound ability to automatically type in my usernames and passwords into websites. Extensions!